The Zinn Life: Amorino: A Blogger Night Out with Gelato! When I first started blogging, it was really just a creative outlet for me. I'm an English major with a Writing minor that has a full-time job in federal regulation compliance. I don't get many opportunities to be creative during my day job, so this is how I feed my writing soul. But I never realized a) how many people blog and b) the opportunities that people give to bloggers! I joined TriFabb, a local blogger group, and we recently had a meet-up at Amorino, a brand-new gelato place in downtown Raleigh that serves classic Italian gelato. When I found out that our November meet-up was at a gelato place, I was all "Yes, please!" Let me be super clear - I had to give up one of my favorite gym classes and spend an hour in rush-hour traffic to get to this meet-up. Totally worth it, though. The owner and staff were so wonderful to work with. Amorino had opened the week before and their trainer from New York was still there. She explained about the ingredients that Amorino uses and that locations are all over the world with 16 locations in the States. I love that one of those locations is in Raleigh! 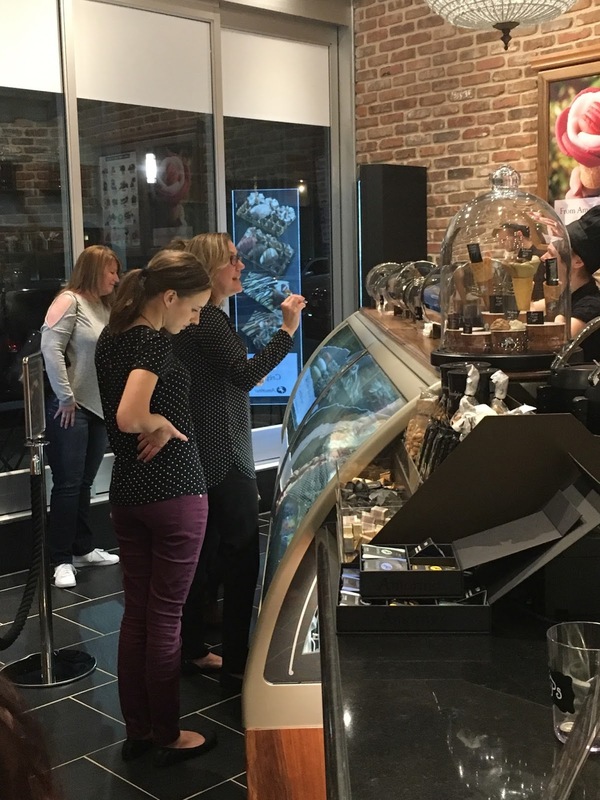 All of the gelato is made at a central location and then shipped to the stores. Even their coffee is made in the Italian tradition! Let's get to the good stuff - the food! We began by sampling all of the gelato - and I do mean all! I tried at least eight different flavors and every single one was amazing! My two favorites were the lime basil and tiramisu. 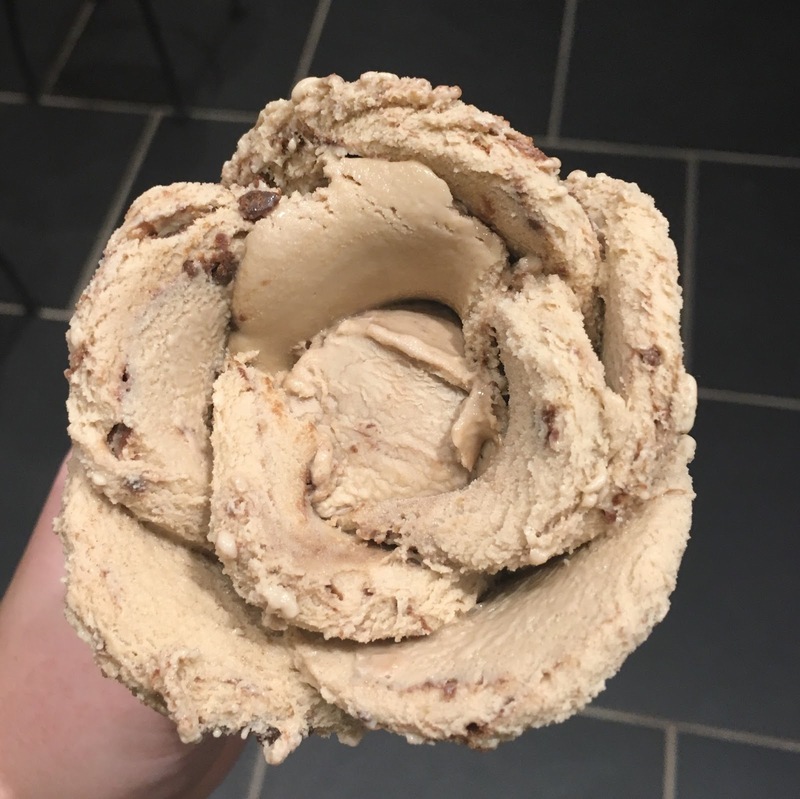 I have a love affair going with tiramisu, so I decided to get a cone in all tiramisu, but you can choose up to four flavors! And if you get a cone, they make it look like a flower. How adorable is that? 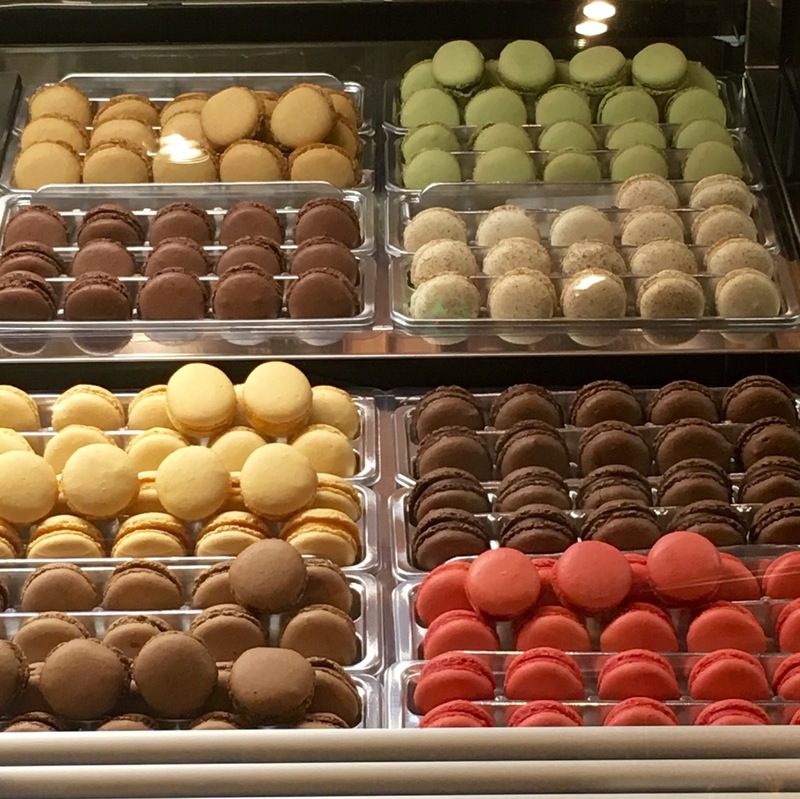 They also use the gelato to make macarons. I loved them so much that I bought 12 of them to take home to my husband and our friends. Next up was my favorite - the hot drinks! 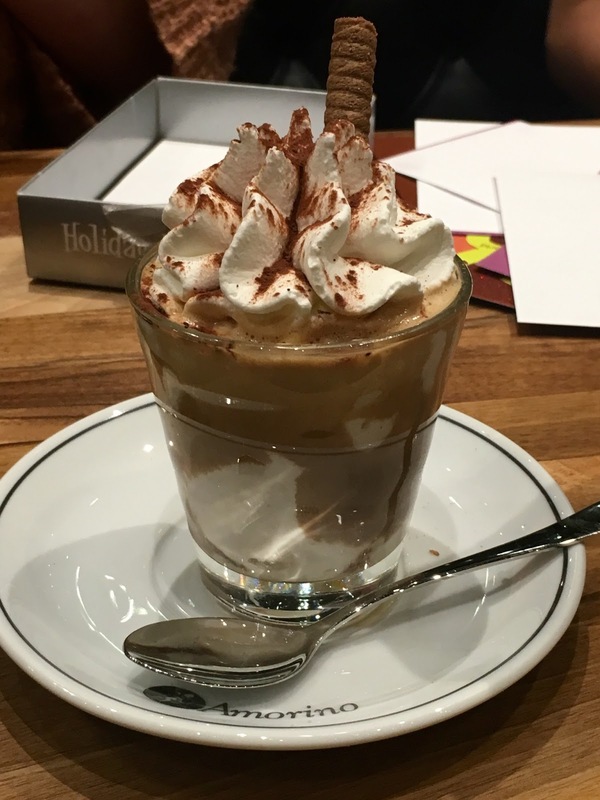 We had an affogato - which is gelato with a shot of espresso. I could swim in these. For real. 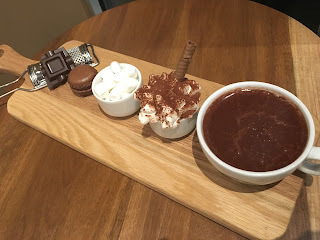 We also had hot chocolate. Their hot chocolate reminds me of a liquid truffle from my favorite place in Asheville, NC, the French Broad Chocolate Lounge. 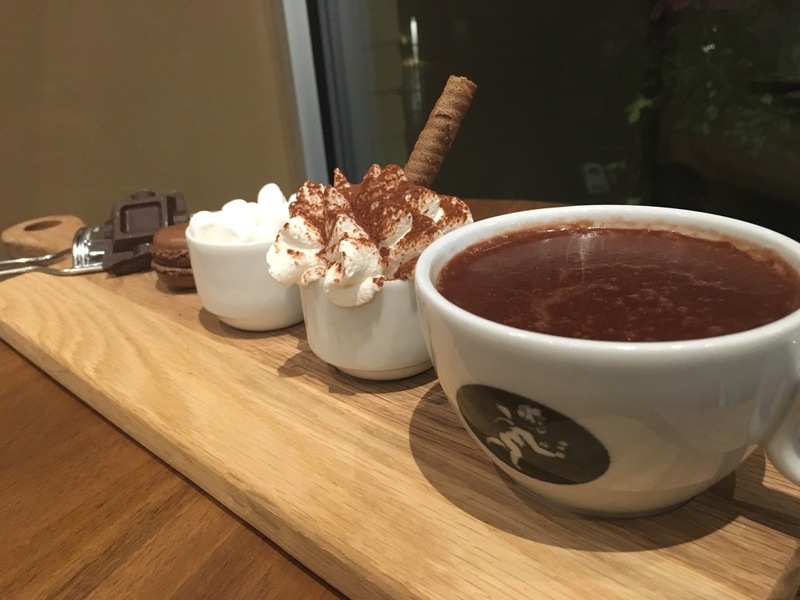 It's thick and luxurious, not like your typical hot chocolate. They also made us their famous Chocolate Experience. I'm going to have to make my way back downtown for that experience! 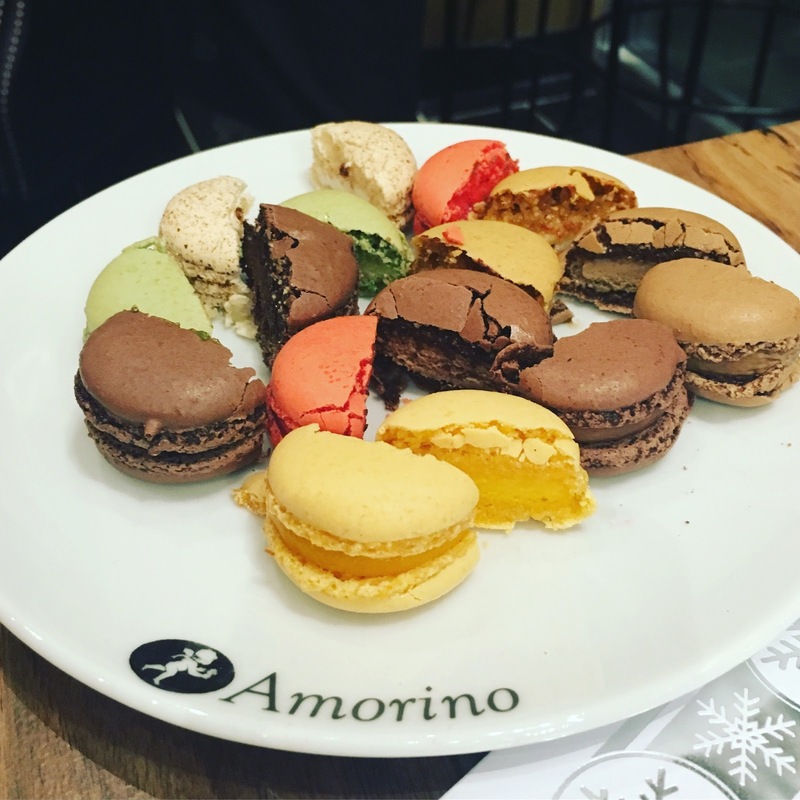 I had so much fun at Amorino! 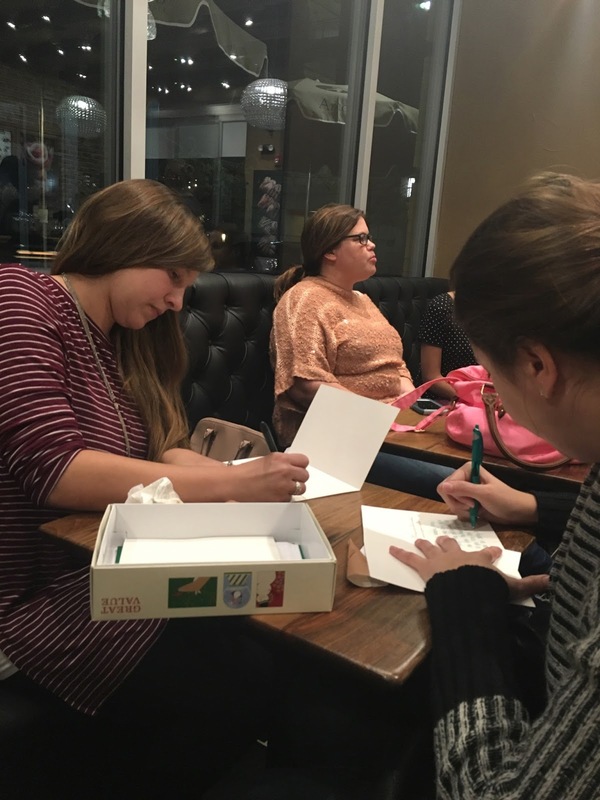 The best part of the night was our project - writing Christmas cards for troops over seas. Coming from a family full of military servicemen (and women) and growing up in a military town, I was so honored to be able to participate and help make someone's holiday a little brighter. Plus, no one loves Christmas cards more than I do! Amorino was such a fun experience! Since moving to Durham, we haven't ventured to downtown Raleigh as much. The traffic is crazy and I'm old and cranky and the parking makes batty. But I'll be making an exception for Amorino. The staff is so nice, the gelato is amazing and I really need more of that Chocolate Experience in my life! Bonus - it's right across the street from the Redhat Parking deck, which soothes my downtown parking anxieties! If you have a chance, definitely check out Amorino! this is SUCH a great recap!!! thank you so much for coming!!!! I'm so sad that I missed this meetup. The gelato looks sooo good! I'm hoping to make it to the TriFabb outing this week but will have to play it by ear. I hope I can go to an event soon, though, because I would love to meet you and the other bloggers. This looks so yummy can't wait to try! I am so sad I missed this. It looks like it was a ton of fun. Plus, the gelato looks delicious!